At Miranda Congregational church we host a wide variety of events suitable for all ages. These events are updated regularly so make sure you check back often to find out what's coming up. If you have any questions about any of these events please contact the church office here. Come and join us as we're finding out together what it means to follow Jesus in the 21st Century. As well, there's the opportunity to meet some new friends. We have activities for the kids during the morning service. Engage in reading the Word of God at a number of levels. Simply read the designated readings from the New Testament only each day, or add in Psalms/Proverbs, or the Old Testament as well. Click here for a copy of the readings for April. Both men and women are invited to join us for a variety of crafts including Oil Painting, Card Making, Drawing, Cross Stitch, Knitting, Crochet and Beading. We meet weekly in the Church hall. Join us for craft and devotions, we meet every second week during school terms in the Church hall. 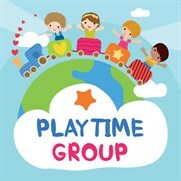 Playtime is for young children from birth to 6 years and their parent or carer. The children enjoy free play, craft, storytime, music and games whilst you have the opportunity to spend time with them and social time with other adults. All are most welcome to come along. 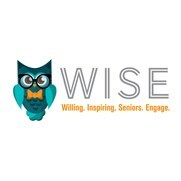 WISE group is designed for 'Seniors'. We have a varied program including guest speakers on a range of topics, days to share favourite music, poems or special items, travel presentations, DVDs and also excursions within the Shire. Each meeting begins with morning tea and a chat. You are invited to join our group. Come along and enjoy a scrumptious morning tea and either share a story from your school days or listen to others as they tell their stories. You are very welcome. A special night has been planned in celebration of Easter so don't miss it. Children in years 3 to 6 are invited for a fun night of games. Dinner and dessert will be provided. If you are in years 6-9, you are invited to unwind after a week at school and join us for a great, social night with your peers. This week, our special guest speaker is Helen MacDonald who is going to explain the history of women in the Sutherland Shire. Join us for morning tea and a chat at 9.45am. Men are invited to meet for dinner at Gymea Hotel for a bistro meal. Bring a mate if you wish. No RSVP is necessary, just turn up on the night. For the final activity of Term 1, we will be celebrating Easter with an Easter Egg Hunt at Como Pleasure Grounds. This is sure to be a great night so if you are in years 6 to 9, come along and bring your friends. Everyone is invited to come along to sing or listen to hymns. The hymns will be focused on 'The Cross' in preparation for Easter. Afternoon tea will be served afterwards. We would love to see you there. Everyone is most welcome to join us at Easter as we celebrate the death and resurrection of God's son, Jesus Christ. We welcome all women to the next Woman To Woman morning. 10am for a lovely morning tea, then a time of wonderful fellowship. Sandy McKay from Gymea Peoples Church will be speaking about Abigail - a Wise Influence. We are looking forward to hearing about Abigail and her time with King David. Morning tea and a light lunch of sandwiches will be served. Please come along and feel free to invite a friend or two. Join us for dinner and a book discussion at the Raya Thai Indonesian Restaurant, Engadine. The book we will be discussing is titled 'Heading Home' by Naomi Reed. We look forward to seeing you at these or one of our many other events. Check out Our Ministries to find specific events for your interests.